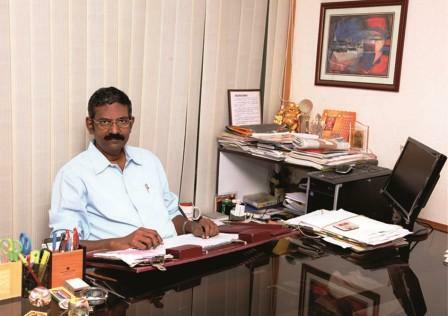 Shri A.P.Selvarajan, Secretary, Sri Kaliswari Institute of Management and Technology is a dynamic business leader and a noted philanthropist who is restless, passionate and a creative institution builder who always likes to quote 24x7 as a success mantra. He is highly passionate about uplifting the down trodden rural students in pursuit of their higher education. We are committed to impart management education that is complete and self contained for preparing well rounded modern day managers. 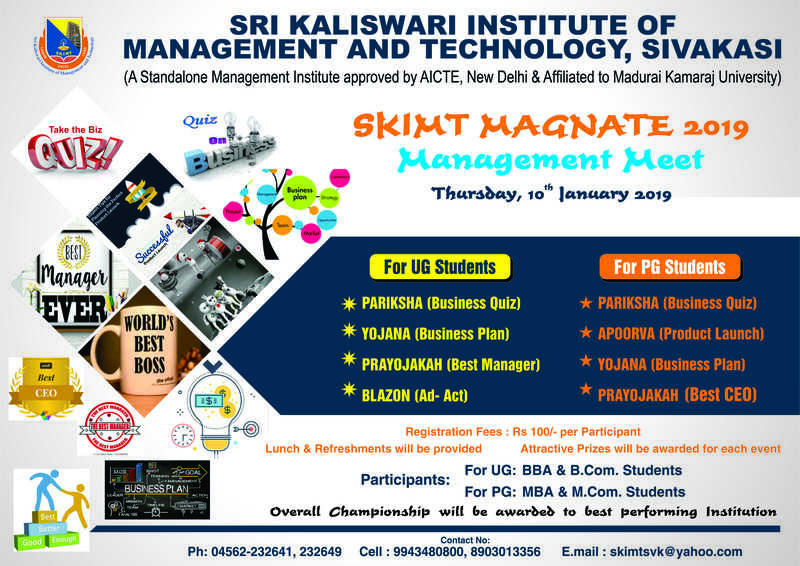 Every student stepping out of our campus will be ready to embrace the challenges of dynamic work environment through professionalism and management ethics.Along with professional management, we, at SKIMT, strive to focus on entrepreneurship and make our students job providers than job seekers.